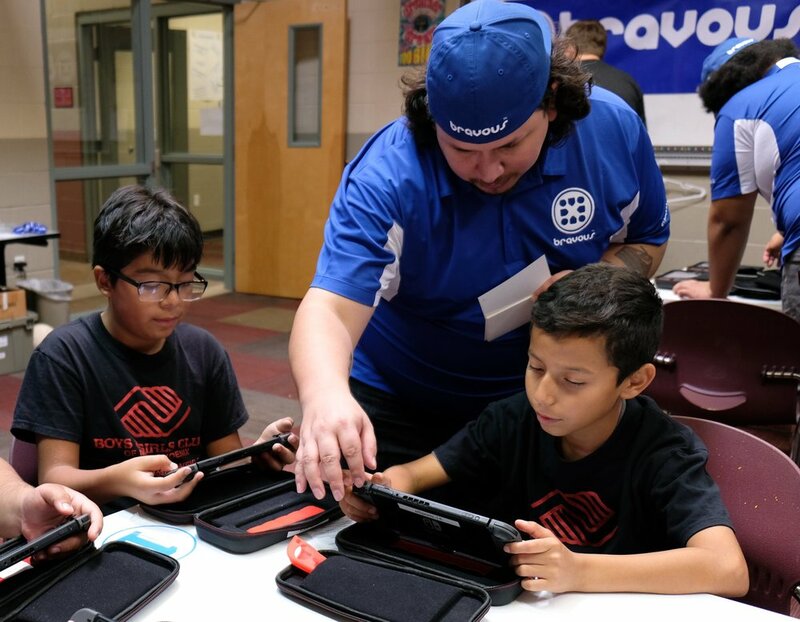 Designed from the ground up to empower local community organizations like yours, Bravous eSports offers a wide range of programs to engage kids from elementary through high school using eSports. Many people ask, “what is eSports?”. The simplest answer “competitive video gaming” does not provide the real answer. The question most people really want an answer to is, “Why is competitive video gaming so popular?” The answer to that is so big, it is nearly invisible. Think back to what the world looked like when most traditional sports were first conceived a century ago. The economy was dominated industrial and agricultural efforts. Sports reflected many of the human traits that drove our economy back then. In this millennia however, those industries make up less than 10% of our GDP. This leads us to ask, what sport most reflects todays economy? In this light, eSports is the clear answer. At Bravous eSports, we have combined the best of traditional sports, and the best of video games, to create a unique growth oriented experience for kids. But it is much more than what we bring, it is what we can do together that makes an impact. All programs are lead by our certified and professionally trained eSports Coaches. We are experts in getting kids into video games and teaching them how to become healthy competitors. Our staff emphasizes respect, and team work. Using the Nintendo Switch, Bravous eSports can provide a rich set of programs for hours on end with no internet needed, and extremely low power consumption. What’s more we can bring age appropriate as well as many of the most popular eSports titles. We bring everything the players need to learn and have fun. Bravous eSports is committed to building a fully inclusive environment, and that means parents as well as players. We help parents not only understand the skills their players are developing, but also give them the tools and knowledge support and root for their digital athlete.